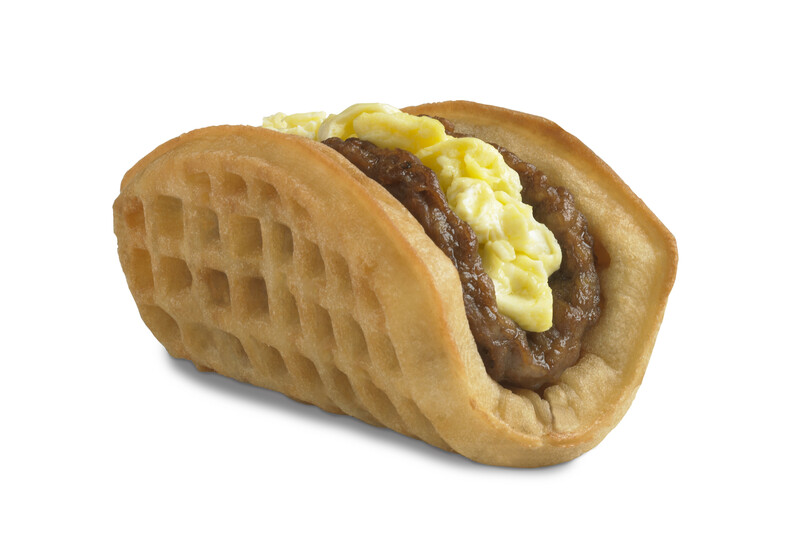 Taco Bell is known for appealing to a certain type of young diner: The (perhaps not-so-sober) teen or 20-something who craves a taco in a Doritos-flavored shell for his or her late-night “fourth meal” and a waffle-taco hybrid stuffed with eggs and coated in syrup for breakfast. The chain's lure for millennials has kept Taco Bell growing over the past few months, even as other major fast food chains like McDonald's have struggled. Taco Bell’s U.S. same-store sales, an important measure of a retailer’s health, rose 3 percent last quarter from the same period last year. McDonald’s same-store sales, meanwhile, were down 3.3 percent last quarter from the same period a year ago. The flight of young people and middle-class diners from McDonald’s to places like Chipotle and Five Guys has been well-documented. But Taco Bell is a more direct competitor to the burger chain than either of those fast-casual joints. And with “innovations” like the Doritos Locos Taco and it’s foray into breakfast, the Mexican chain is gaining an edge over McDonald’s in catering to millennials -- the new demographic holy grail. 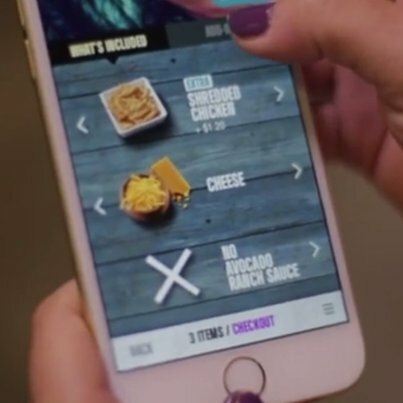 Now, Taco Bell is deploying another weapon in the battle for the youngs: a new version of its app that allows people to create a custom order, pay for it and save those payment and order preferences for next time. The new app is slightly more advanced than the one McDonald's currently offers, gives diners access to promotions and coupons for local stores. McDonald's is trying to make a larger digital push, testing new technologies and opening a digital office in San Fransico to recruit tech-savvy workers, according to Becca Hary, a spokeswoman for the brand. Taco Bell's app, which rolled out for Android and iPhone users Tuesday, allows people to customize their orders and pay for them directly. Taco Bell fans can then use the app to signal when they've arrived at the restaurant, so cooks can start preparing the food. The app also allows customers to re-order their favorites simply by turning their phone to the right. 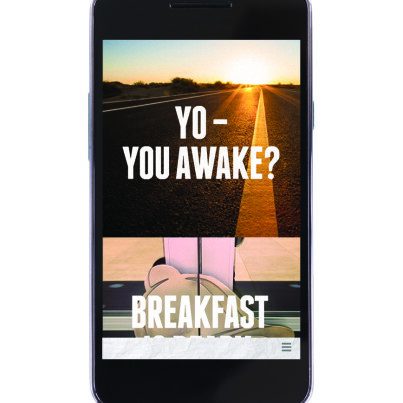 Can your cell phone make breakfast hip? An intuitive app can also be a huge boon for an eatery. Starbucks' app, which allows users to pay, tip, save preferences and build rewards, processes millions of transactions a week. It's possible that ordering via app also makes customers spend more. Customers tend to be more price-conscious when they're spending with cash, research has shown. Remove cash from the equation via credit cards or apps, and the dollars flow more freely. The hope is that Taco Bell's app, along with other moves like aggressively opening more restaurants, will double the chain’s system-wide sales to $14 billion by 2022. Part of the strategy is to position the company as less of a traditional fast food eatery and more like the popular fast-casual chains known for fresh food that is made to the diner’s expectations. Taco Bell's new app ensures that food isn’t sitting out because cooks wait to make it until the person who ordered is at the restaurant. The app also offers people the option of either choosing a burrito, taco or other menu item as it appears, or the chance to customize their order from a Chipotle-style set of ingredients. Diners can use Taco Bell's app to add extra chicken or guacamole, or to take away cheese. 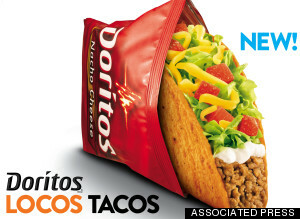 c Taco Bell President Brian Niccol told The Huffington Post. Indeed, even McDonald’s, which is known for serving up the exact same food everywhere, is testing a build-your-own-burger concept. Still, it may be hard for fast food chains known for cheapness and speed to trounce fast-casual restaurants on quality and the number of preferences, according to Darren Tristano, an executive vice president at Technomic, a food market research firm.